Trying to craft that perfect itinerary for 7 days in Ireland? You’ve come to the right place to figure out what to see in Ireland in 7 days! While there are a lot of things to see in Ireland, in just a week it’s possible to cover the highlights of Ireland and get a good taste for the Emerald Isle. 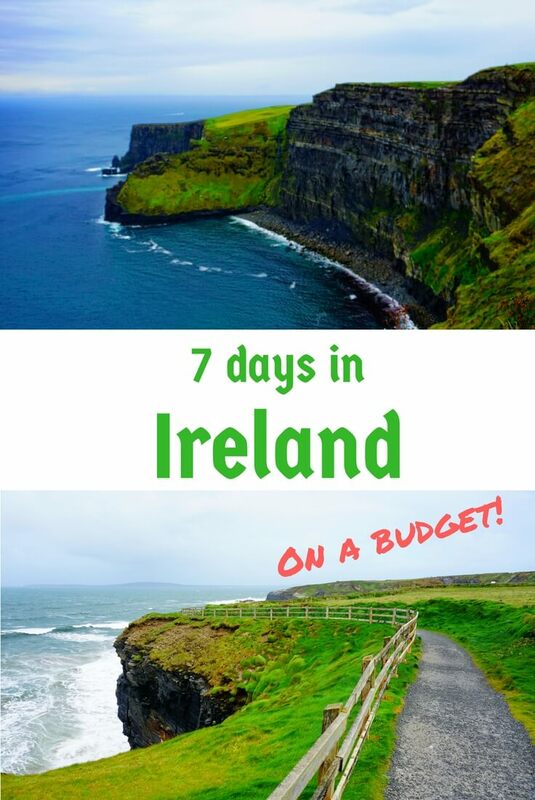 So if you’re wondering what to see in Ireland in 7 days on a budget, I’ve got you covered in this post with a suggested Ireland 7 day itinerary that takes in the best of this amazing country (and may well leave you wanting to come back for more). Ireland is relatively compact, making it possible to explore Ireland in 7 days. And thanks to an abundance of transportation options, it’s relatively easy to get around quickly and affordably. What’s more, while Ireland is certainly not a traditional budget travel destination, traveling Europe cheaply in Ireland is more doable than you might imagine. You’ll be rewarded well for the effort – Ireland is a land of fascinating history, famous hospitality, and lush, stunning scenery. In this travel guide and itinerary for Ireland in a week, I’ll cover basics like what to see in Ireland in 7 days, where to find accommodation, how to eat cheaply, how to get around Ireland — and expected costs for all of these things. 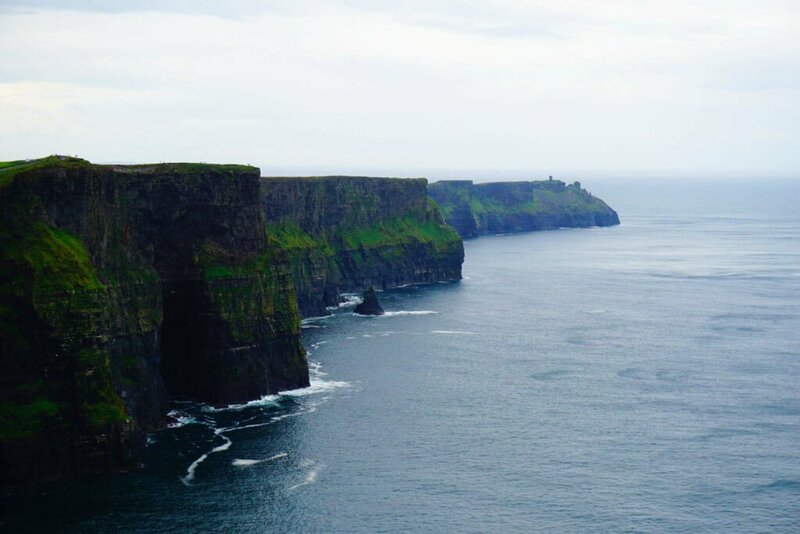 And though this guide is geared towards the backpacker or budget traveler, this 7 day Ireland itinerary works just as well for those who prefer to travel in a bit more comfort. Lastly, before you go to Ireland, be sure to check out these Tips for Traveling to Ireland. And if you need help picking a backpack for traveling Europe, check out my guide. 1 Why Go? What’s There to See in Ireland in 7 Days? 6.1 And before traveling to Ireland (or anywhere else! ), be sure to grab your free copy of my e-book, “99 Tips for Traveling the World Like a Pro“! Why Go? What’s There to See in Ireland in 7 Days? Lush Greenery – They don’t call it the Emerald Island for nothing. The entire island is covered is dozens of shades of green, and you’ll be hard-pressed to find a corner of Ireland that’s not Instagram-ready — it’s just that pretty of a country! If you’re wondering what to see in Ireland in 7 days, look no further than out your window! Castles and History – Ireland has been inhabited for thousands of years, and has the history to prove it. History buffs will be spoiled in Ireland’s Ancient East, while those who dream of past lives as princes or princesses will feel at home in Ireland’s many majestic castles. Culture and Hospitality – The Irish people are famed for their warmth, their cheer, and their joviality. You’ll feel right at home in Ireland’s welcoming culture, whether it’s watching traditional Irish dance, listening to a storyteller regale an audience with centuries-old fables, or just saddling up to a bar stool for that perfect pint of Guinness (or Ireland’s other stout – Murphy’s!). 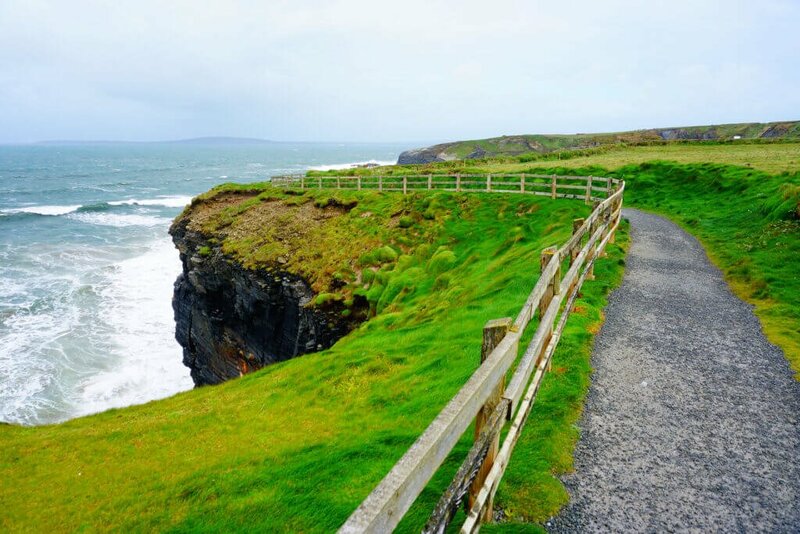 Incredible Coastal Walks and Hikes – Ireland is surrounded by three thousand kilometers of jagged coastline, giving visitors access to gorgeous and often empty beaches, popular surfing spots, and plenty of walking trails above and around dramatic cliffs. Food: 15-20 euros/day if eating at supermarkets, fast food places (try SuperMacs – the Irish version of McDonald’s) and street vendors, 30 euros or more if eating at restaurants. Drinks: 4-6 euros for a pint of Guinness. Transportation: 20-30 euros for bus or train ticket between cities, though renting a car may be competitive economically (see below section on transportation). Entertainment: Many free or affordable options, including coastal walks, public performances, and more. Entrances fees for castles and sites range from 2 to 15 euros. In 7 days in Ireland, you’ll have time to craft an itinerary that lets you comfortably see a good amount of the country. This 7 day Ireland itinerary takes you to three strategically-situated bases for exploring the country. You’ll spend a couple nights in each place, with an extra day to add to one depending on your preferences (I recommend spending longer in Killarney or Galway). Based largely off suggestions from my Irish Facebook followers, I did this itinerary when I visited Ireland in the fall of 2017 (technically I took 10 days, but 3 of them were spent a travel blogger conference in Killarney). Though I loved it and highly recommend it, as always, I encourage travelers to forge their own path. That’s why I also include a list of alternative things to see in Ireland in 7 days. There’s no two ways about it: Galway is a party city. It packs a double punch on the festive front because it’s filled with Irish people AND with students – two groups known to enjoy a good time. But Galway isn’t just for the night owls: its strategic position means it’s a great base for day trips to two of Ireland’s stunning national parks. And with 3-hour direct buses running from Dublin Airport to Galway, if the timing of your flight is right, you can easily head straight west upon landing in Ireland. 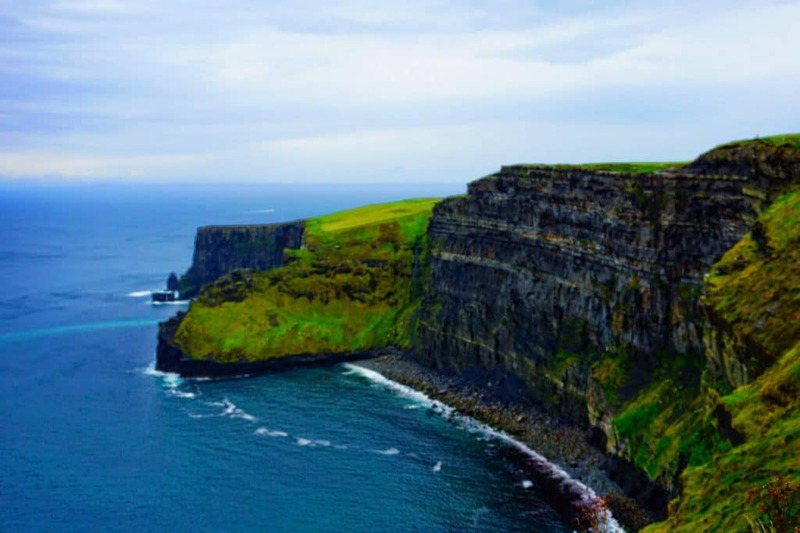 Take a day trip to the Cliff of Moher – these enormous cliffs are Ireland’s most popular attraction. Despite the growing crowds, they are truly incredible. 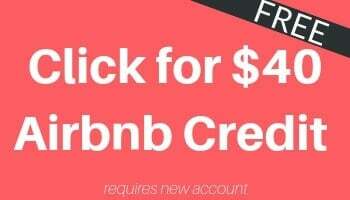 You can visit on your own if you have a rental car, or as part of an organized day tour that will also take you to other sites including castles and churches. Tours cost around 30 euros per person, exclusive of lunch. Visit Connemara National Park – Admission into this stunning national park is free if you can get yourself there (I met several travelers who did it hitchhiking!). The park is filled with trails that take you through mountains, forests, bogs, coastline, and more. Kinlay Galway Hostel: a large, but well-run, clean, and fun hostel that organizes nightly events. From Galway, rent a car or hop the 3 hour bus to Killarney (via a change in Limerick), where you’ll be greeted by a charming town whose main street is lined with pubs, restaurants, and an assortment of uniquely Irish shops. 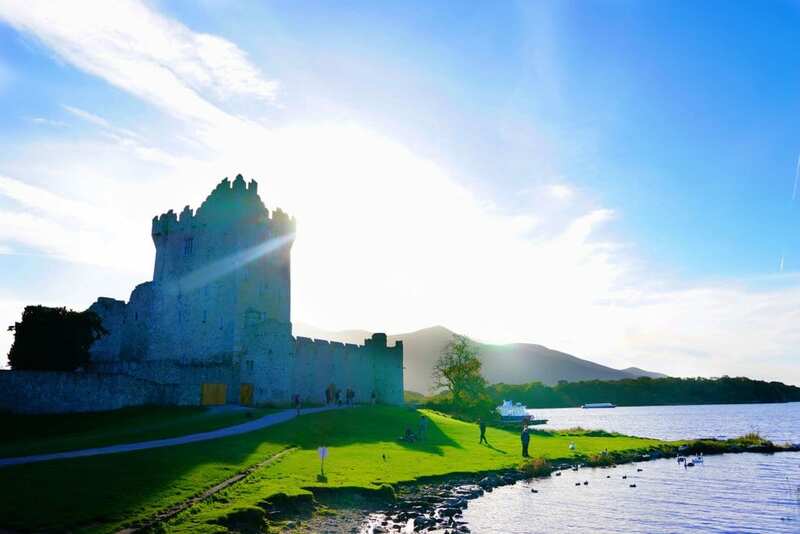 There are a lot of reasons to love Killarney, and its geographic position means it’s a great base for day trips throughout County Kerry, which holds some of the most beautiful sites in Ireland. Visit Killarney National Park – This gorgeous park is free and accessible simply by walking from the Old Town (or you can go cycling and hiking in Killarney National Park). The highlight is the gorgeous Ross Castle on the southern end. Drive the Ring of Kerry – This iconic 179 kilometer long loop takes you through green fields, coastal cliffs, villages, and tons of ancient history. Visit the Dingle Peninsula – A jagged peninsula along the Wild Atlantic Way, where gorgeous green fields top jagged cliffs guarding wild beaches. Take a day trip to Ballybunion – An hour or so away from Killarney lies this charming outpost on the Wild Atlantic Way. Take a tour or rent a car, where you can spend the day hiking along stunning cliff walks. If the weather is right, you might even be able to catch some rays on the dramatically-situated beach. And when you tire yourself out, you can simply walk into town, grab a seat at a pub, and order up a pint or shepherds pie. Neptune’s Hostel or Black Sheep Hostel, both conveniently located in the town. Both can help arrange day trips to the above attractions for 17-30 euros per person. The first thing you need to realize when planning to tour Ireland on a budget is that Dublin is significantly more expensive than the rest of the country. While hardly any traveler is going to want to skip Dublin altogether, you can save money by limiting your time there. So be sure to save your euros and end your trip with a bang by exploring this exciting city. 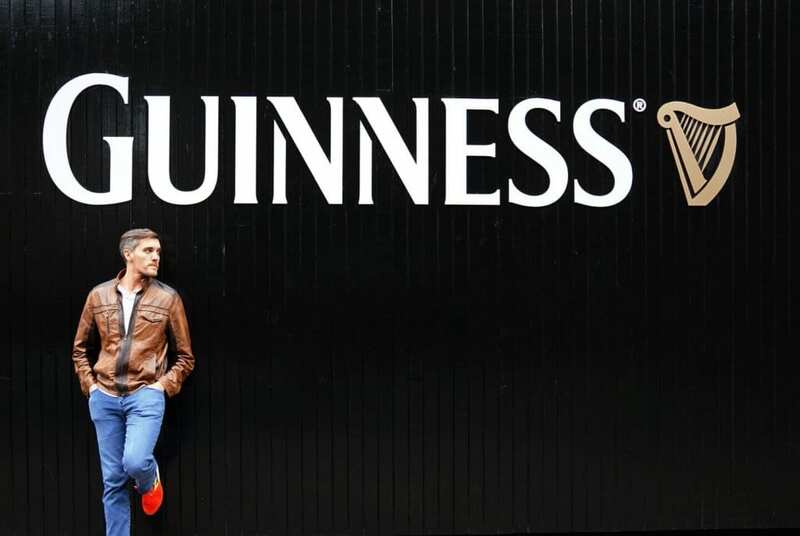 Visit the Guinness Storehouse – Probably the most popular thing to do in Dublin, the Guiness Storehouse is a multi-level exhibition dedicated to the dark stout which is so heavily engrained in Ireland’s culture. The self-guided tour concludes with the chance to learn to pour a perfect pint of Guiness at the Guiness Academy. Note that tickets, which cost 25 euros for an adult at the door, can be bought cheaper online in advance. Tour the Trinity College Library – Nestled in the middle of the city, Trinity College is a retreat from the bustle of Dublin proper, and the iconic library is a popular spot to snap those Instagram photos. Drink at pint at The Temple Bar – This popular bar is undeniably a bit of a tourist trap. But it’s so popular that the entire surrounding nightlife district bears its name. So join the other travel lemmings for a pint or four. Barncales Hostel is located just around the corner from The Temple Bar. For those looking for affordable privacy, the Mercantile Hotel offers decent rates (if slightly dated rooms). While I think that the above Ireland 7 day itinerary gives a good sampling of what Ireland has to offer, you certainly don’t have to do what I did and there is a lot more to explore in Ireland if you want to craft your own adventure. If you have a little more time, there are more things to see in Ireland in 10 days (or longer). Doolin and The Aran Islands – A tiny village near the Cliffs of Moher, Doolin was one of my favorite places in Ireland. You can hike the cliffs from here, or use it as a base for visiting the Aran Islands, windswept islands off the coast where you can get around by pony cart. Belfast – Take a detour up to Northern Ireland. Known as the home of the Titanic (an odd distinction, but one the city claims nonetheless), Belfast can be used as a base to visit many filming locations from the popular HBO Series Game of Thrones, as well as the beautiful Giant’s Causeway. Cork – A relatively large city by Irish standards, Cork sits along a gorgeous waterfront. From here, you can take a day trip to kiss the Blarney Stone at Blarney Castle. Rent a car – Renting a car in Ireland is shockingly cheap. I found rates available as low as 5 euros a day, although of course you need to factor in ancillary costs like fuel, insurance, and parking. But if you can split it with someone, it’s a great way to give you the freedom to explore the gorgeous countryside by yourself. If you do rent a car, here’s a guide to what to know before driving in Ireland. Train – Ireland’s trains are really excellent in quality, but the network unfortunately doesn’t go quite everywhere you might need. A train from Killarney to Dublin ran me 33 euros. Bus – For routes where the train doesn’t run, this is the only option for those without a car. There are decent buses between most destinations, however. I paid 20 euros to go from the Dublin Airport direct to Galway, and 19 euros to go from Galway to Killarney (with a change in Limerick). Money: Ireland uses the Euro. Credit cards are widely accepted, though some places operate on a cash-only basis. Language: English is the dominant language, though Irish (or Gaelic) is sometimes used as a written language — though it will almost always be paired with English writing as well. Weather: All that green grass has to come from somewhere. So you should always have a raincoat or an umbrella handy. And if visiting the Wild Atlantic Way, be prepared for high winds along the cliffs (they don’t call it “Wild” for nothing!). Still, if you can handle some rain and a little chill, Ireland is one of those European destinations that can be visited year round. Getting to Ireland: Dublin and Shannon airport have frequent flights to Europe and North America. Irish budget carrier Aer Lingus has recently begun heavily expanding it’s direct routes to the United States, meaning that round trip flights can often be found for $500 USD or less. Ireland Guidebooks: If you want more detailed information on other options for what to see in Ireland in 7 days, use this trick to get a free copy of Lonely Planet’s Ireland guide. Communication: Wifi is ubiquitous in Ireland. If you have an unlocked cell phone, you can purchase a local SIM card to get cellular data. Or if you are a T-Mobile customer, the included free international data works decently well (although at 2G speeds). Enjoy your trip! And if you have other ideas for what to see in Ireland in 7 days, just let me know in the comments! And before traveling to Ireland (or anywhere else! ), be sure to grab your free copy of my e-book, “99 Tips for Traveling the World Like a Pro“! Where did you rent a car from? I’ve been looking and haven’t found anything remotely as cheap as what you describe. Hey Alex! 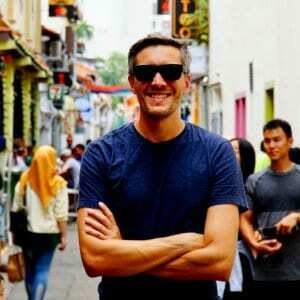 Check out Auto Europe (which I just found through Kayak). I just doubled checked and to rent one for tomorrow from Dublin Airport for a couple days is running 8-12 USD from either Dollar or Hertz. Admittedly that’s for a super compact car but sedans aren’t much more anyway (15 usd or so). Great – I’ll check it out! Thank you. I appreciate your sharing. I really like to share your all these images which looking very nice and cool. I also enjoyed myself while I was visiting this kind of places. I am sure your shared information would be useful for all visitors which who have a plan to go there in coming up days.